Secure a holiday accommodation management, boat hire and kiosk business in pristine East Gippsland. Excellent opportunity to secure freehold in East Gippsland. Sensational location, overlooking Sydenham Inlet. Ownership of 4 polycraft hire boats. 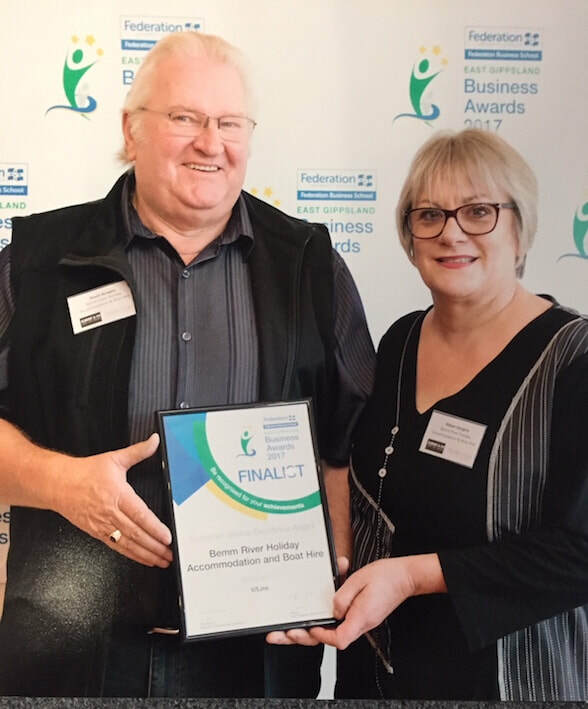 David and Robyn Sturgess have owned and operated this business since May 2003. Convenient moorings when the lake level is high.